American Motorcycles Norway / Veteran-Mc.com: Bror With. There are reasons our motorbike heritage rely on just a small number of survivors. Back in the days, motorbikes was not scrapped, they was reused, again and again in various creations of technical character. People had in general less money, hardly none, this was good for creativity and ingenuity. Like in this picture, where an old Excelsior have shared its engine and rear wheel to make a snowmobile. 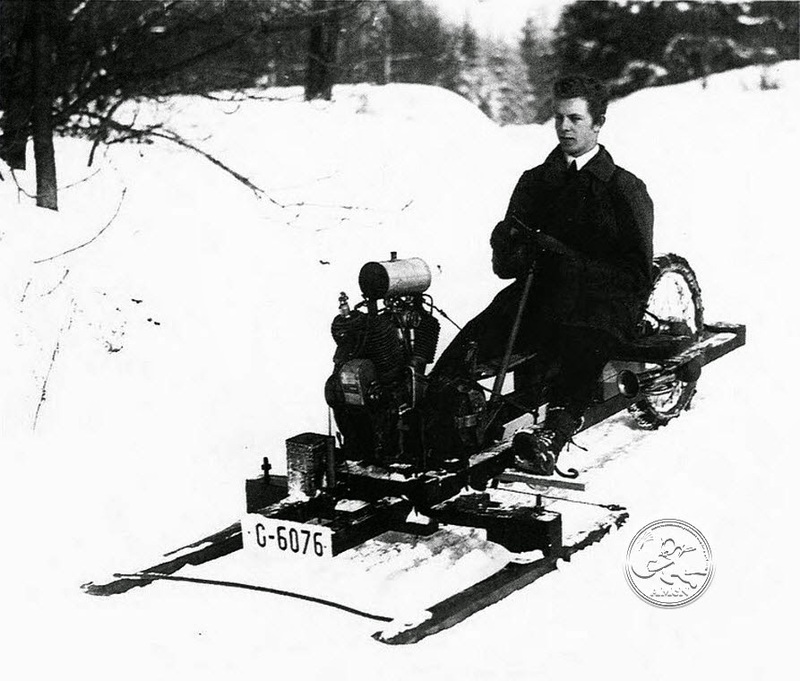 The guy behind the steering wheel is Bror With, a Norwegian to become famous for his inventions, among them the "Rottefella" ski binding, the "Dromedille" speed boat and more. Apparently young With inventions started with butchering old motorbikes.